nattoli.net > Tags > Nattoli's blog tags > angel beats! 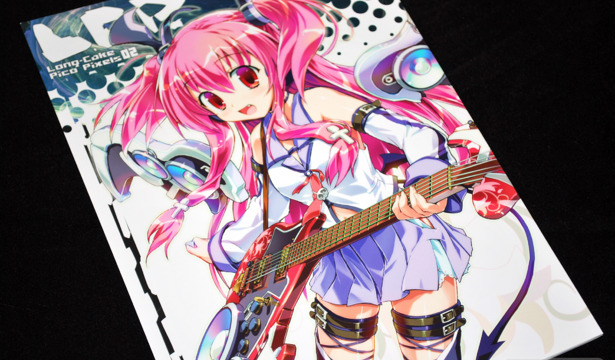 Ein's second original doujinshi, Long-Cake Pico Pixels 02, was released for Comiket 79 and improves on the Comiket 78 release, Long-Cake Pico Pixels, with more recent works, full-page illustrations and even more pages. For the most part, I don't normally purchase anime guide books, visual books, or anything with similar words in the title. Those kind of collections tend to have less in the way of art, and more in the way of screen shots, backgrounds, and voice actor interviews. 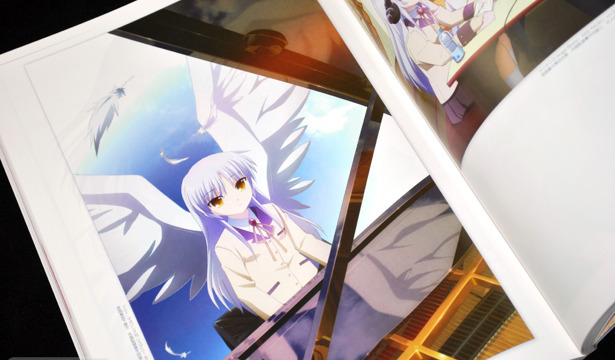 And while it's true, Angel Beats! 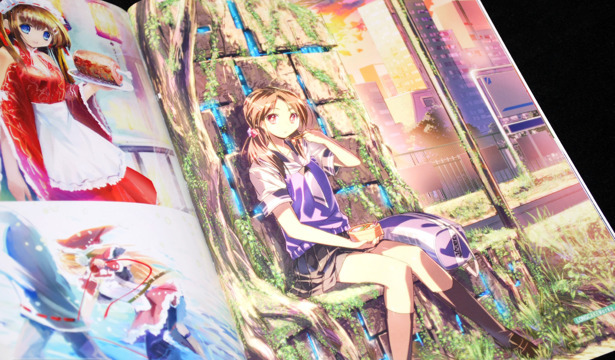 Official Guide Book has all of those things I mentioned, it also has a ton of promotional art works from series, along with tribute illustrations and works by the original character designer, Na-Ga.